Maersk recently launched a new sustainability strategy with the aim of accelerating the company’s positive impacts. The purpose is to address significant sustainability challenges in society which at the same time constitute bottlenecks to Maersk’s growth strategy. One of the three key focus areas is climate change and energy efficiency. “Seaborne transport plays an important role in ensuring that global trade can take place in a cost and energy-efficient way. The importance of this role will only intensify”says John Kornerup Bang, Head of Positioning and Strategic Risk Management in Maersk. As part of the new strategy, Maersk will continue its efforts to make shipping a more energy efficient way to transport goods. At the same time, Maersk will get more involved in promoting energy-efficient supply chains and the infrastructure that is needed for waterborne transport. The goal is to enable trade growth and economic development with ever fewer emissions. “The global challenge is to increase trade and economic well-being for a growing population and mitigate the impacts of climate change at the same time” says Kornerup Bang. Maersk has long been contributing to a solution by continuously lowering the CO2 footprint of containerised transport. This work has helped Maersk cut fuel cost, improve competitiveness and engage with stakeholders who wish to optimise supply chains and save CO2. “Maersk’s long history in waterborne transport, inland logistics and port infrastructure mean that we have more to offer” adds Kornerup Bang. Besides remaining at the forefront of energy efficient shipping, the goal is to help countries realise potentials for trade growth at a lower footprint. The way forward is to lend knowledge and expertise for national infrastructure investments and government planning solutions. “The potential of water borne transport is vast, and we’d like to see that it is being fully realised. It’s not enough for us to focus on CO2 reductions alone. That’s why we will be reaching further outside our operational sphere, engaging our stakeholders in this potential. We are excited about the task ahead” concludes Kornerup Bang. 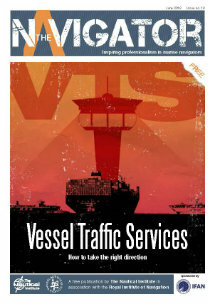 The article was initially published in Maersk Stories.